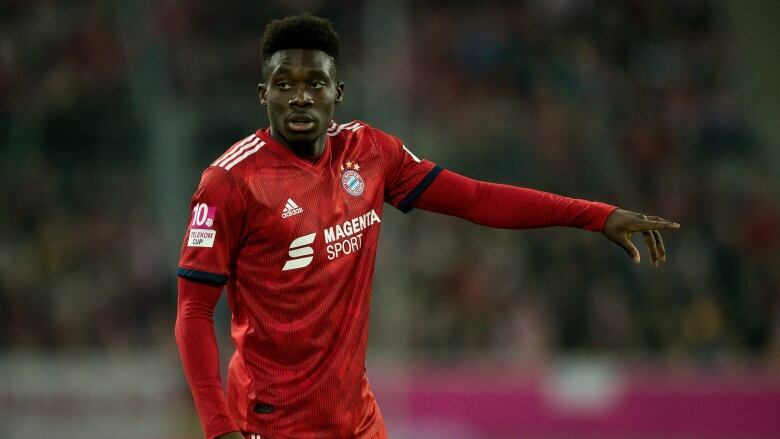 In his return to Vancouver, Bayern Munich teenager Alphonso Davies will look to help complete Canada's perfect CONCACAF Nations League qualifying run against French Guiana on March 24 at BC Place Stadium. At stake is a place in the top tier of the CONCACAF Nations League and a berth in the 2019 Gold Cup. The 23-man Canadian roster includes nine players from Major League Soccer, with a recall for Orlando midfielder Will Johnson. Other veterans in the squad include captain Scott Arfield, former skipper Atiba Hutchinson, goalkeeper Milan Borjan and defender David Edgar. Current Vancouver Whitecaps players called up are goalkeeper Maxime Crepeau, centre backs Derek Cornelius and Doneil Henry, and midfielder Russell Teibert. Davies, 18, is one of seven call-ups aged 21 or younger, including fellow teenagers Jonathan Davies (KAA Gent), Liam Millar (Kilmarnock FC) and Ballou Tabla (Albacete Balompie). Davies, an attacking midfielder with nine caps for Canada, joined Bayern from the Vancouver Whitecaps in a then-MLS-record $22-million US transfer deal that will see him play for the German side through 2023. The deal was consummated in July but Davies closed out the MLS season before joining Bayern in January. Davies has seen cameo appearances off the bench so far for the German league leaders. There are six teams with 3-0-0 records in CONCACAF Nations League qualifying play. "Every game you play at home is special, but this game has the little something extra as the result could really shape the destiny for Canada," Canada coach John Herdman said in a statement. The Canadian men are 4-0-0 under Herdman, outscoring their opposition 15-0 since he took over in January 2018. Those six will join the top 10 teams from Nations League qualifying at the 2019 CONCACAF Gold Cup, which increases to 16 teams from 12. That will motivate French Guiana, which has made the regional championship just once. The Canadians opened the Nations League qualifying round with an 8-0 win over the U.S. Virgin Islands, in a game played in Bradenton, Fla., before blanking visiting Dominica 5-0 and winning 1-0 at St Kitts & Nevis. French Guiana won 5-0 at Anguilla, lost 1-0 at home to St. Vincent and the Grenadines and beat visiting Guyana 1-0. Canada currently leads all teams in qualifying play with 1,254 passes. French Guiana has the most yellow cards with eight.